Summer is here, so entertaining has made the move from the living room to the backyard. It’s the season for barbecues and campouts. 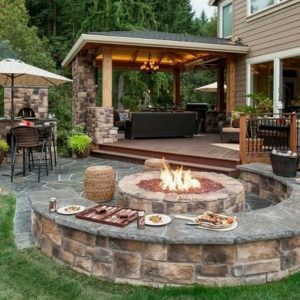 Here are five ways to make sure your back yard is everyone’s favorite. Make sure there’s a place to cook! The way to your guests’ hearts is through their stomachs. You could have something as simple as a charcoal grill or as elaborate as a fully-featured kitchen, but it‘s essential that you can prepare some food outdoors. Lighting matters. At the very least you need enough lighting to keep the party going when the sun goes down. But for a back yard that really pops, add some decorative lighting to walkways, landscaping, or anything else worth highlighting. Gather around the fire. This one’s a no brainer. Everyone loves a good place to make hot dogs and s’mores—just make sure you’re not violating any neighborhood ordinances. Bring the beach to your backyard. A little water will make everything look better. It could be something as simple as fountain or as elaborate as a waterfall or fish pond. 5. Don’t forget the foliage. Trees, shrubs and flowers are all important for adding the finishing touches to your outdoor entertainment space. The trees and shrubs can provide some much-needed shade when the sun is out, and flowers add just the right amount of color. Bathrooms can be the most difficult places in our homes to keep clean. However, with a few clever changes and upgrades, it can be much easier to clean and maintain your bathroom. No-Touch Faucets: They’re not just for public restrooms, you know. 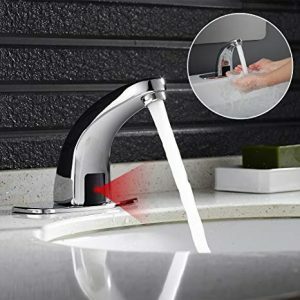 A sensor on your bathroom faucet will eliminate one of the main touchable surfaces. Install or upgrade the exhaust fan: The fan isn’t just for reducing odors or keeping the mirrors from fogging. The better your ventilation system in the bathroom, the easier it will be to prevent mildew and mold. It’ll also prevent paint from bubbling and peeling. 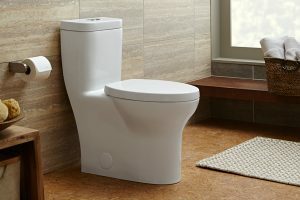 Easy-Clean Toilets: Whoever designed older toilets certainly didn’t design them with cleaning in mind! Newer toilets are often designed with smoother services that make cleaning a much simpler task—no more standing on your head to reach every toilet surface. Remove grout: Germs and grime love to build up in the spaces between tile. 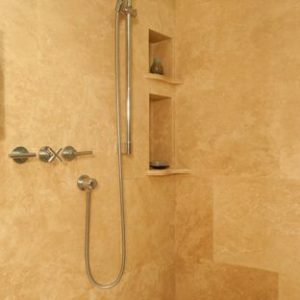 Instead of tile, you can cover larger surfaces with glass or stone veneer, or simply use larger tiles. That’ll reduce the overall amount of grout in your bathroom. If you have an Adjustable-Rate Mortgage, consider these factors about refinancing. The federal reserve recently raised interest rates, and if you have an Adjustable Rate Mortgage (ARM), it may be a good time to consider refinancing your home. There’s no one-size-fits-all answer to whether your should refinance, so here are a few of the main considerations. How long does your introductory rate last? Most ARMs have a fixed rate for the beginning of the mortgage. This is an introductory period (usually 3-10 years) when your rate will remain constant before it can be adjusted. If you have several years left in your introductory period, you can monitor interest rates for a while before making a decision. But if the intro rate is ending soon, it’s a great time to explore refinancing at a fixed rate. If you plan to sell your home soon—especially if you’re still on a fixed introductory rate—there’s not much motivation to refinance. But if you’ll be at your home indefinitely, you should consider your refinancing options. You could eliminate the stress of not knowing what your future mortgage rate and payments will be. The change in your mortgage payment will of course be determined in part by your remaining balance. If you owe $100,000-$200,000, a new interest rate may not greatly affect your monthly payment. On the other hand, if you owe $500,000, a change in interest rate could lead to a much higher payment. 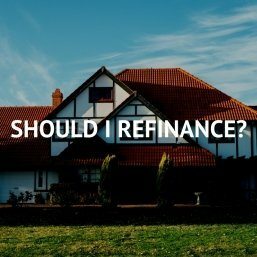 The previous items are just a few of the factors that should go into a decision about refinancing. Changes in income and your current credit score should also be considered, so be sure to weigh your options and make an educated decision. NOW MAY BE THE TIME. Low inventory is a problem in many markets throughout the country. In a healthy market a particular neighborhood would have six months of inventory. Many neighborhoods are seeing inventory as low as one or two months. This means home buyers are not finding the homes they are looking for. Eric Sachs, President and Co-founder of BreakthroughBroker.com, said he speaks with Realtors throughout the country, and the main concern voiced by Realtors is that there are not enough listings. One agent told of a recent story where a new listing had 19 offers on the first day listed. 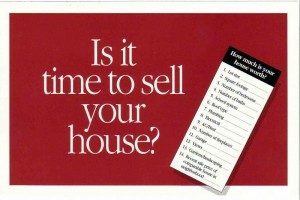 As the spring selling season ends, now is the time to list if you have thought about selling in the past or may want to sell in the future. Call your trusted real estate advisor to see if you live in a low inventory area. With low inventory in many markets throughout the country, many homeowners are afraid to make the move and sell their homes because they’re concerned that they may not be able to find a new one. This can be a real problem, but if you are seeking to sell—whether to upgrade or find a new neighborhood—there are a few ways to combat the low inventory. In most markets it is a real mistake to put your home up for sale before you start looking for your new property. Identify the geographic area where you are interested in buying. Even if you don’t see anything on Zillow, it doesn’t mean you can’t or won’t find the right home. Be proactive! 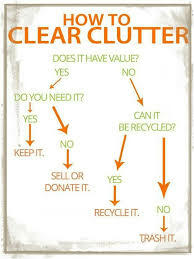 Keep in mind that there are probably many people like you who want to make a move but are afraid as well. 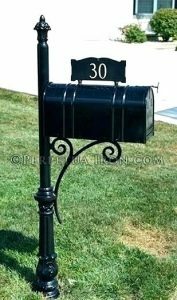 Have your real estate agent send a letter to the neighborhoods in the geographic areas where you want to live. 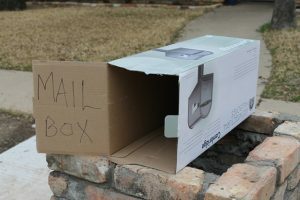 The letter should be heartfelt and personal while announcing that you are ready to buy a home in that neighborhood. You could find a home to buy that may not even be currently listed or for sale. Each state varies in how the purchase process is conducted. Talk to your real estate professional about adding a clause in the purchase contract for the home you are selling that will enable you to not sell the home if you cannot find a suitable home to buy. Of course, one of the dirtiest items in anyone’s home is the toilet. But, that’s not the only place where dirt and germs accumulate. Here are five other dirty items and suggestions for cleaning them. Bath Towels – When you and your family dry off from your shower, your bath towel absorbs the water from your body. Then it sits all day breeding bacteria that thrive in warm, moist areas. Combat this issue by changing your bath towels out every two days and washing your dirty towels in hot water to kill anything living on them. Shower Curtain – Shower curtains easily pick up bacteria the same way bath towels do. They also attract germs from the toilet if they are near each other. Clean your shower curtain by spraying it down with a bleach-based product. Spray the rings and rod, too. Also, when the shower curtain is beyond cleaning, replace it. 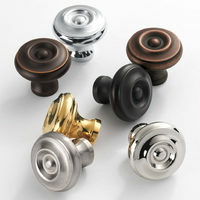 Doorknobs – Entryway and bathroom doorknobs are exposed to myriad germs daily. Thankfully, doorknobs are easy to clean. Wipe them down with antibacterial wipes regularly. Window/Door Tracks – Window and door tracks are harbingers of dust and dirt. The grime that builds up can make you and your family ill. You can easily clean these areas by vacuuming out large pieces of debris and then spraying the stuck-on dirt with water, letting it loosen up and wiping it with a damp cloth. Toothbrush Holders – Your toothbrush holder is likely teeming with germs and bacteria. Wash it with hot soapy water twice a week. If you can, run it through the dishwasher to ensure it gets clean and sterilized. So you’re thinking of selling your home without a listing agent and saving 1.5-3% in potential commissions. It doesn’t seem that hard, right? Take some pictures, get it on the MLS or online, and buyers will come running with offers. 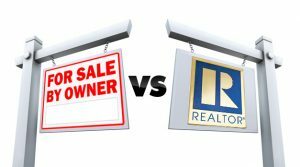 While some people have the time and experience to effectively sell without an agent, most FSBO home sales fail. It’s no surprise that the percentage of US homes sold by owner has seen a steady decline. Here are 10 top reasons not to sell your home by owner. When you decide to FSBO be prepared to sacrifice a lot of time. From staging the property and taking perfect pictures to getting the description and marketing right. You’ll also spend time showing the property, entertaining lookie-loo’s and door-kickers, and talking with agents who won’t take you seriously. When you sell by owner you may think you’re saving money but in reality you’re often spending a lot of money up front with no guarantee of any return. Listing agents spend a calculated amount of money up front to make sure a listing sells and ultimately pays both you and them both fairly. Choosing to FSBO doesn’t really save you money. On average, homes sold by agents get $230k compared to $180k for FSBO. When you find the right agent they will price your property to get the most money in the shortest time, a combination that can mean 10-30% more net profit. 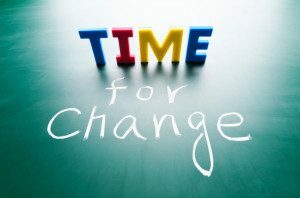 When you are considering saving 1.5-3% on a listing commission you should take that into consideration. Listing agents do not charge anything upfront to sell your home. If they spend thousands and can’t sell it for the price you want, they are out those thousands, not you! This is perhaps one of the greatest things about using an agent. There is an extremely low risk and cost to doing so! The perception of FSBO sellers is that they are not serious about selling their properties and are often just testing the market or seeing if they can get some far fetched price or perfect buyer that isn’t realistic. They are often not taken seriously in the real estate community because they don’t see the value in representation by an agent or broker. 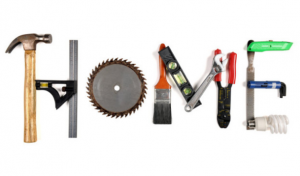 You might be ready to post your home on Facebook and Craigslist a few times, but you don’t have the ultimate home selling tool – the MLS. The multiple listing service can be accessed by licensed real estate agents, and is the way to get your home listed on sites like Realtor.com, Zillow, and Trulia. A large majority of home buyers begin their search on sites like these, and you want your home to be seen by as many buyers as possible to get the best price. 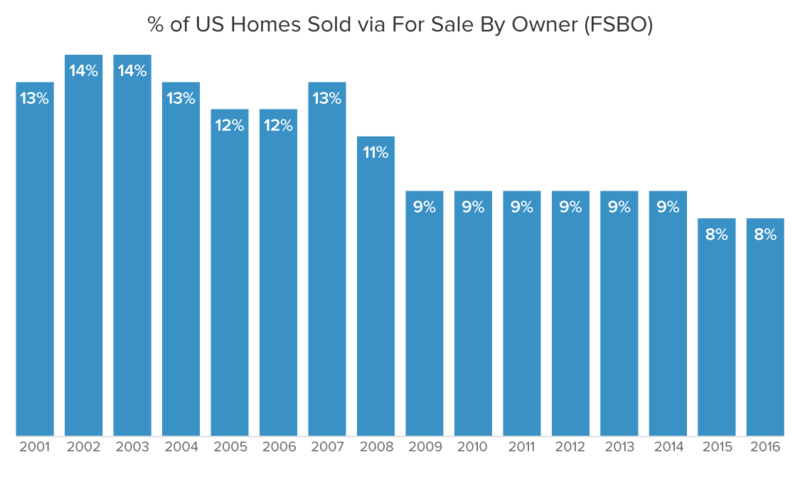 It’s no surprise that homes sold via FSBO have seen a steady decline as online real estate has become the norm. When you sell your home without an agent, any mistakes you make can cost you greatly. Agents have something called E&O (Errors & Omissions) Insurance. This protects them when mistakes are made in contracts. When you sell on your own, others can make sure to exploit every little mistake you make. When you decide to sell your home yourself you are telling other agents that you don’t understand their value in a multi-billion dollar industry. Agents often see FSBO sellers as easy marks to negotiate against because they have the upper hand. They control the buyer/offer and can negotiate their own commission. They can also pick your property and price apart because they have the expertise to do so. They don’t need to worry about treating you unfairly because the chance of them dealing with you again is slim to none. More often than not they will simply ignore your listing altogether to avoid the hassle. Pricing your home incorrectly when you list it can be the worst mistake, and can greatly affect days on market and final sales price. Pricing too high will mean fewer people see it, resulting in fewer offers. 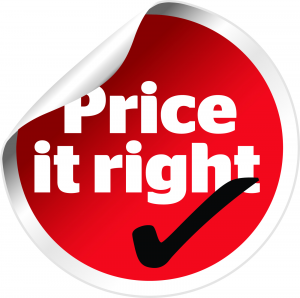 Price it too low and you’re conveying that something is wrong with the property or that you are desperate to sell. More days on market will also signal to buyers that something is wrong and can ultimately mean less money upon final sale. Learn more about setting the price right here. When you FSBO you attract investors and low-ballers who see your inexperience and ignorance as a prime opportunity. What may seem like a lot to you may be a steal to them. An experienced agent will understand this and negotiate the most money possible for you. Winter is hard on your home even in the south. The cold expands and contracts the materials your home is made of. Now that the winter weather is behind us, here’s a few quick tips to get started on your spring and summer maintenance. Roof and shingles: It’s pretty common for shingles to get damaged or detach completely after a long cold winter. Thoroughly inspect your roof to ensure that shingles are in good condition and the roof is structurally sound. 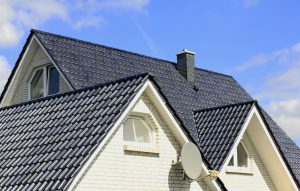 It may not be time to replace your roof yet, but consider how many more years it has left and start preparing a budget. Check your gutters: The weight of heavy melting snow and debris is more than enough to make your gutters sag or loosen. 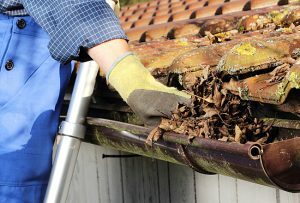 Clear out all the leaves and other debris that’s collected in the gutters, and make sure they’re still securely attached at all points. Check concrete surfaces: Fluctuating temperatures cause concrete to expand and contract. 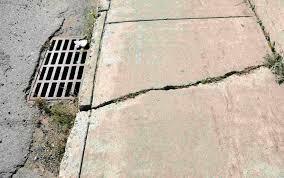 This can lead to damaged driveways, walkways, and other surfaces, and that can spell bad news for water drainage. 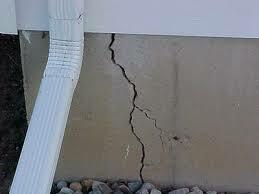 Fill the cracks with an appropriate material, and seal your surfaces if possible. 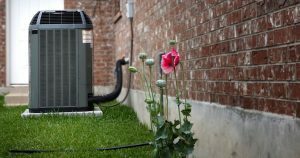 HVAC service: Before you put your central air conditioner through a rigorous summer, clean the coils and change the filter. Better yet, bring in a professional for yearly maintenance.